Conditions were about as bad as I have ever heard them in a Spartan Sprint. No signals on 20 M and no answers to CQs. Only two QSOs on 40 (ME and TX) and both were about 449 both ways. 80M seemed to be in good condition, but not much activity. 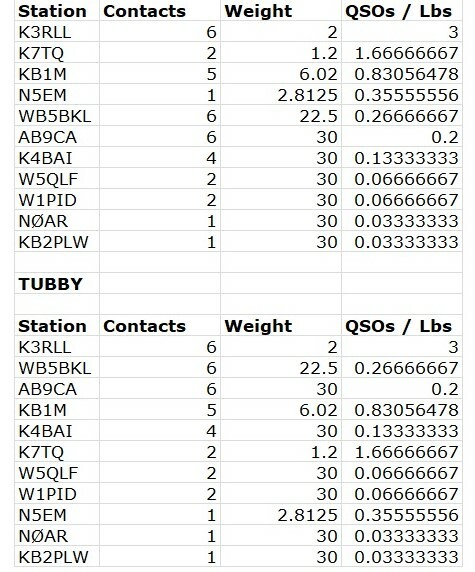 Two QSOs on 80M (KS and TX). Total QRV time was 1:15. Heard on 40, but he couldn't hear me: NK6A. Heard on 80M but they couldn't hear me: NØAR and W5ACM. Seemed I might have heard KA2KGP on 40M, but signal was too weak to be sure. Better luck next month. Note that the new season of QRP Fox Hunts starts on Nov. 7. Hope many will join in these fun QRP events. Only 1 QSO on 40M. Heard zip on 20M. No antenna for 80M at the moment. I was hearing W1AW on 40M, but then they're not exactly QRP. K3/10 @ 5W to a 40M dipole or a 40M extended double Zepp. 5 states this time. Difficult evening. 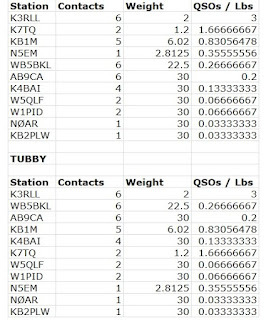 K7TQ and K3RLL were weak when I worked them but much stronger later. Hear KB1M, but could never connect. Best signals: K4BAI on both 40 and 80M. Had fun. I used my Wilderness Radio NC40A at 2 W tonight. Very tough going from northern Idaho. Called CQ most of the time without any luck. Caught Nick in TX and a local ham about a mile away for the only contacts.